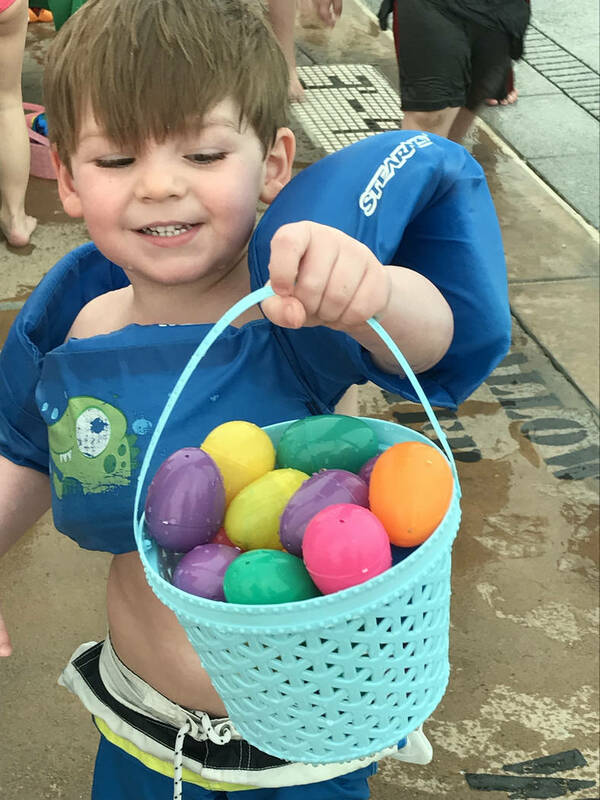 Braxden Cristo, 3, shows off the bucket of eggs he collected during the third annual Easter Pool Plunge on Saturday, March 17, 2018, at the municipal pool. 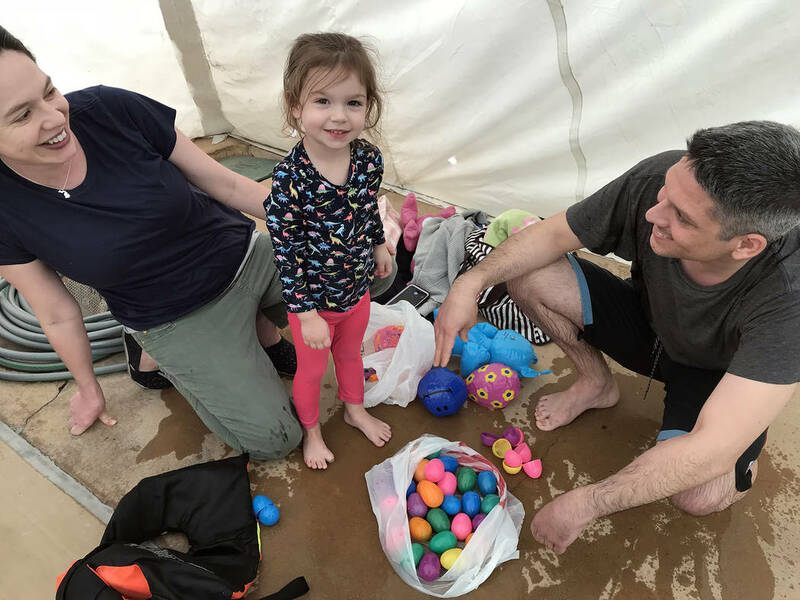 Hali Bernstein Saylor/Boulder City Review Children in the 0-5 age division, assisted by parents, gather plastic eggs and floating toys during the third annual Easter Pool Plunge on Saturday, March 17, 2018, at the municipal pool. 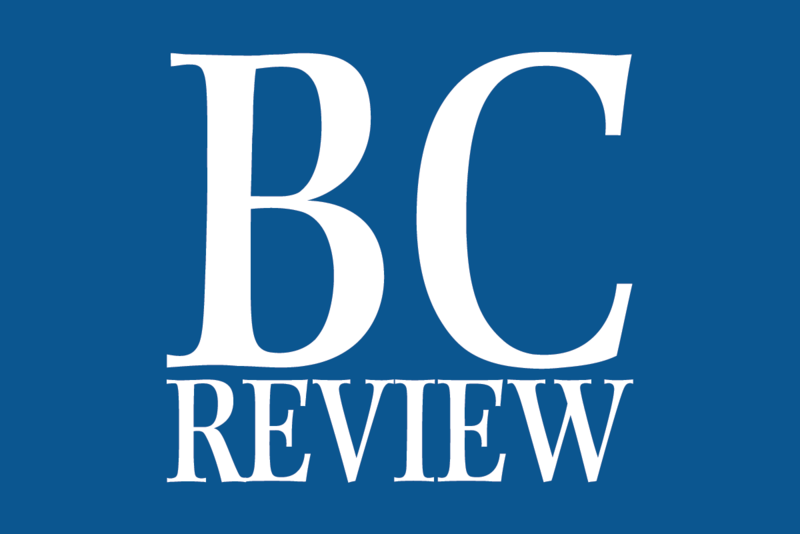 Hali Bernstein Saylor/Boulder City Review Braxden Cristo, 3, shows off the bucket of eggs he collected during the third annual Easter Pool Plunge on Saturday, March 17, 2018, at the municipal pool. Hali Bernstein Saylor/Boulder City Review Cheree Brennan, center, aquatic coordinator, was assisted by Josie McClaren, left, and Avery Huysentruyt at Saturday's, March 17, 2018, Easter Pool Plunge at the municipal pool. The two girls helped give out special prizes to those who found coins in the eggs during the annual egg hunt in the pool. Hali Bernstein Saylor/Boulder City Review Siblings Kate and Jack Gelb, who were visiting from New York, collected a variety of toys during the third annual Easter Pool Plunge on Saturday, March 17, 2018, at the municipal pool. Hali Bernstein Saylor/Boulder City Review The Sergent family, from left, Sophia, Genevieve and Shane, came to the municipal pool Saturday, March 17, 2018, for the third annual Easter Pool Plunge. 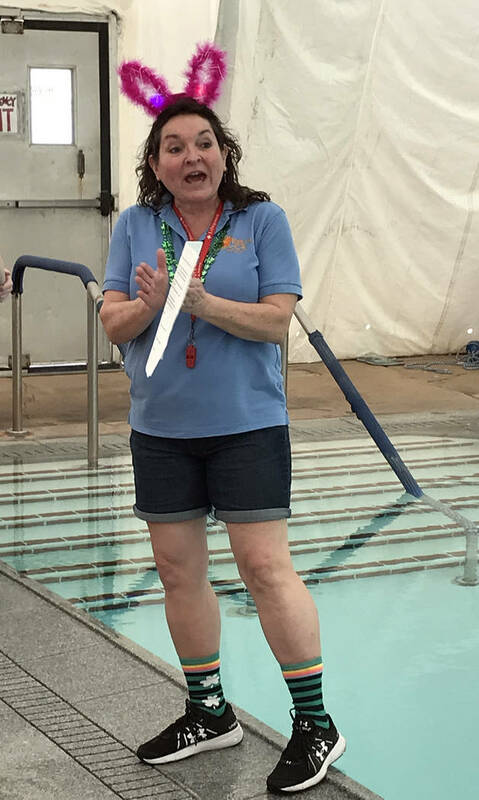 Hali Bernstein Saylor/Boulder City Review Cheree Brennan, aquatic coordinator, explains how the Easter Pool Plunge will work before the start of the event on Saturday, March 17, 2018. Hali Bernstein Saylor/Boulder City Review Lifeguard Tyson Morris helps spread plastic eggs in the municipal pool before the start of one of three egg hunts during the third annual Easter Pool Plunge on Saturday, March 17, 2018. 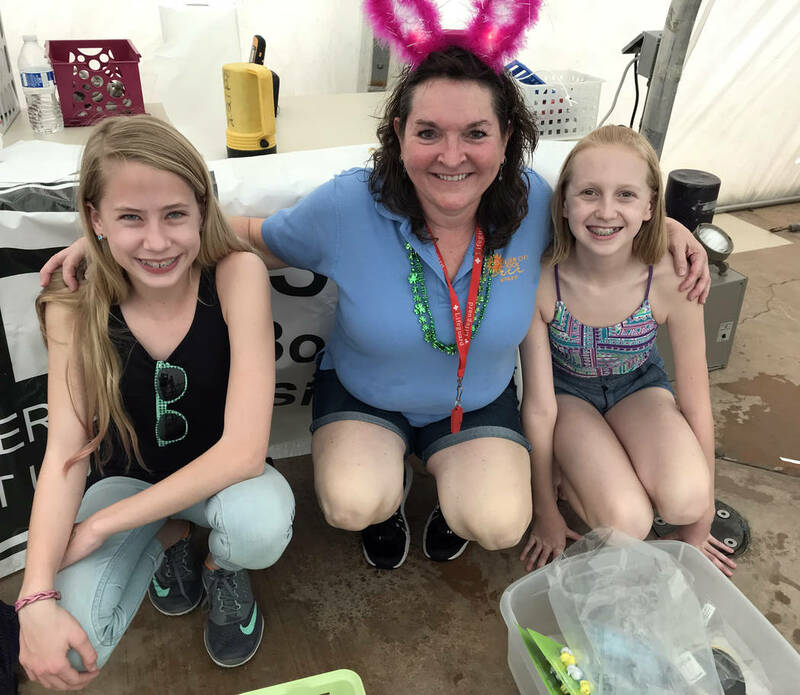 Cheree Brennan, center, the city’s aquatic coordinator, was assisted by Josie McClaren, left, and Avery Huysentruyt at Saturday’s, March 17, 2018, Easter Pool Plunge. The two girls helped give out special prizes to those who found coins in their eggs. 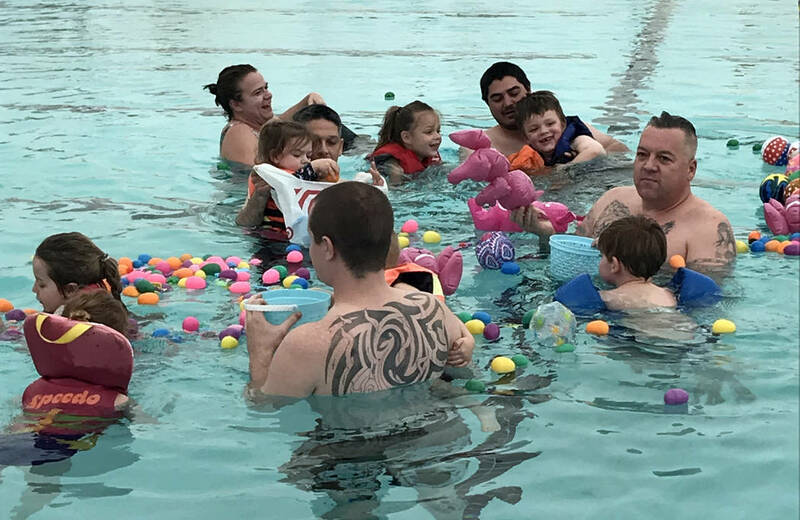 Children in the 0-5 age division, assisted by parents, gather plastic eggs and floating toys during the third annual Easter Pool Plunge. 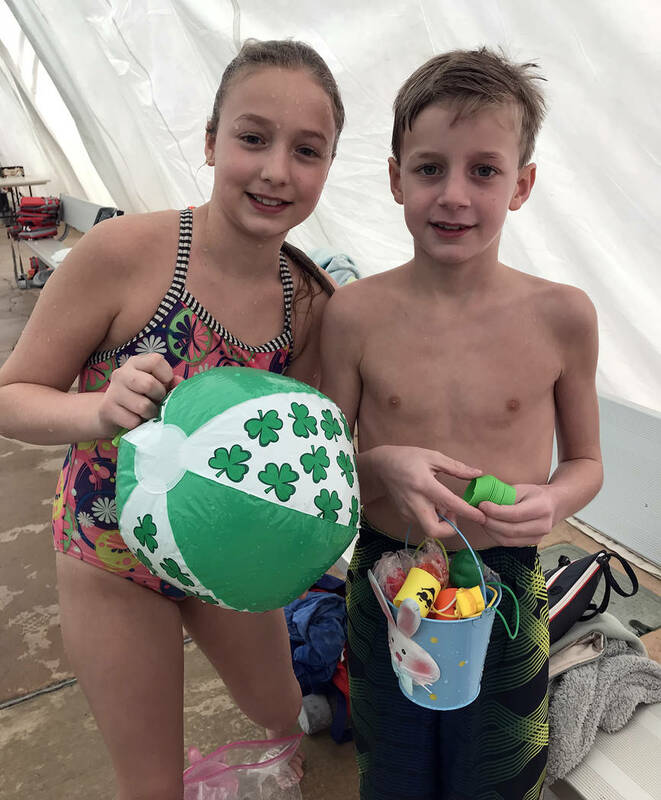 Siblings Kate and Jack Gelb, who were visiting from New York, collected a variety of toys during the Easter Pool Plunge. The Sergent family, from left, Sophia, Genevieve and Shane, came to the municipal pool Saturday, March 17, 2018, for the Easter Pool Plunge. 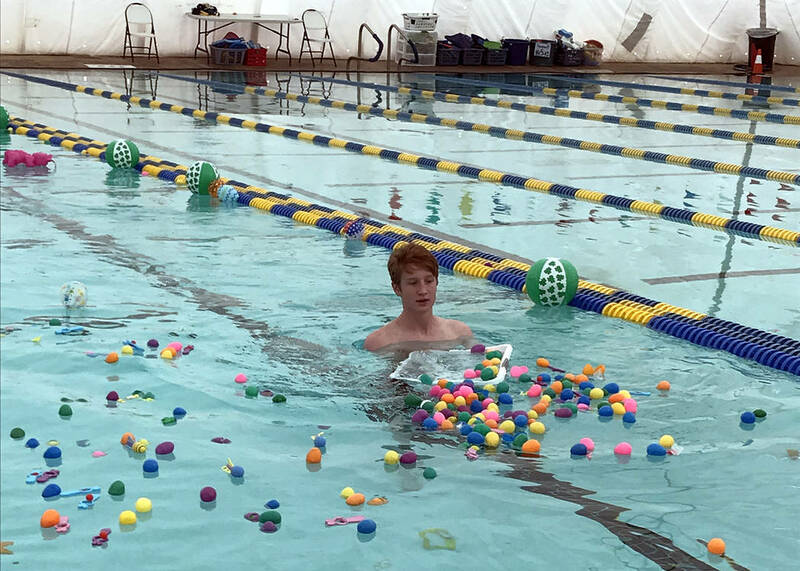 Lifeguard Tyson Morris helps spread plastic eggs in the municipal pool before the start of one of three egg hunts. Cheree Brennan, the city’s aquatic coordinator, explains how the Easter Pool Plunge will work before the start of the event on Saturday, March 17, 2018.